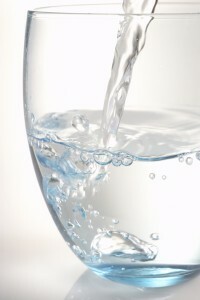 For many homeowners in Fresno, California, a water conditioner system is an absolute must. Local water tends to be high in calcium and magnesium, which can leave stubborn residue on everything from dishes and laundry to hair and skin. This, in turn, can make even the simplest household chores unnecessarily frustrating. Why not say goodbye to hard water buildup, and say hello to a brand new RainSoft water system? Our whole-house water conditioner systems can accommodate a wide range of household needs. One model is ideal for homes with heavy water consumption, while another is built with economy in mind. No matter which one you choose, you’ll begin noting improvements in your water quality right away! Our premium EC4 home water conditioner is incredibly energy efficient, thanks to state-of-the-art programming that softens your water on demand. Every time your family uses a specific amount of water, the conditioner will automatically begin replacing the hardness ions in the next batch. Our TC Series water conditioners provide you with the same unlimited supply of softened water, but with a different scheduling system. With the TC series, your water is softened on pre-specified days and times. In addition to RainSoft’s water softeners, we also can install whole-house problem-solving filters that remove specific elements – such as iron or sulfur – that can find their way into some homes. RainSoft drinking water filtration systems are also available, which will provide you with great-tasting bottle-quality water right from your tap. Our water conditioner experts would be happy to help you decide which option would be best for your Fresno, CA home, based on local water conditions, daily water usage, and similar factors. Call your local authorized RainSoft dealer today, or request a complimentary in-home water test online!